Let us cater your private party or special event! Our dining room is available for private parties of at least 25 people any time on a Sunday or Monday, or a Saturday until 3 pm. Each package includes complimentary soda, tea, and coffee but pricing does not include tax or gratuity. There is no additional fee for usage of the dining room (seats up to 80 people). 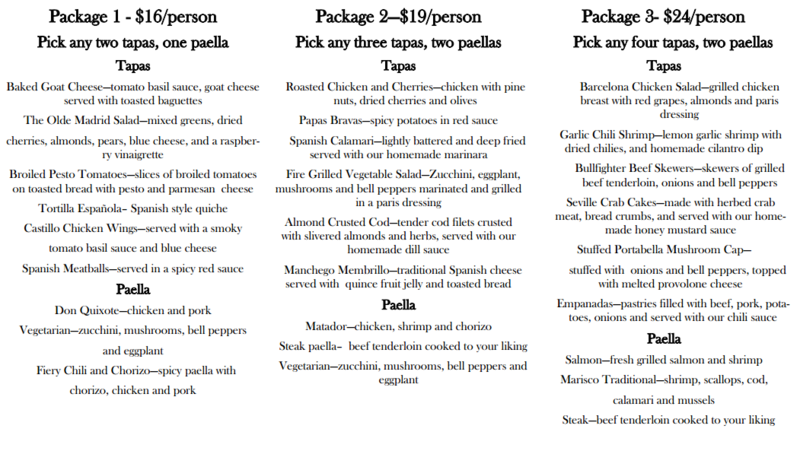 Each package is served family style for the authentic Spanish experience.